NEW JERSEY (WABC) -- Legislation sponsored by Senate President Steve Sweeney that prohibits New Jersey Transit train engineers whose driver's licenses are suspended or revoked for DUI convictions from operating any passenger trains was signed into law Wednesday. "This is a public safety problem that will now be corrected," Sweeney said. "Those with DUI violations should not be allowed to get behind the controls of a passenger train carrying thousands of people a day. If they aren't allowed to drive a car, they shouldn't be entrusted with the safety of train passengers. It's that simple and with this law it will make those rules clear." 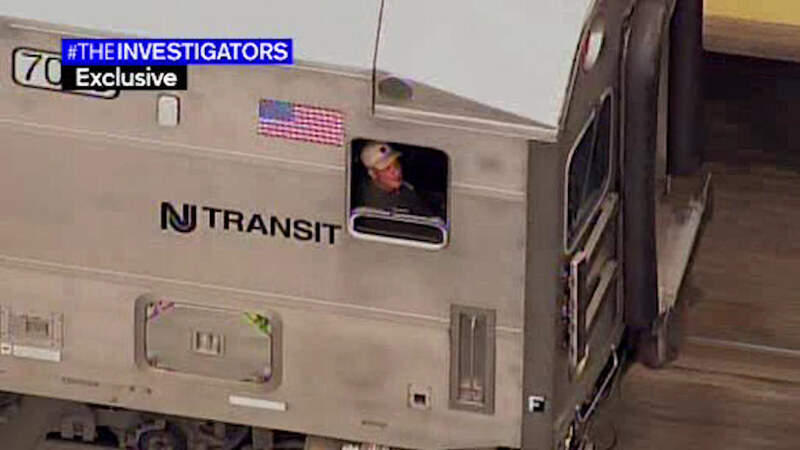 Our Eyewitness News Investigators' reports revealed that a NJ Transit engineer continued to operate a passenger train despite having his motor vehicle license suspended three times. The S-2 bill, which was introduced and quickly moved through the Senate, will cover all NJ Transit workers who operate trains. "Railway safety is as important as roadway safety," Sweeney said. "We have seen the tragic consequences of train accidents and we don't want them to be repeated." Every state senator backed the emergency ban, acting just six days after our investigation earlier this year showed Thomas Broschart still driving a passenger-filled train. But at the end of the day, he needing someone to drive him home. Sen. Bob Menendez said our investigation exposed NJ Transit asleep at the switch. "I've asked my staff in Washington to contact the Federal Railroad Administration to come to understand how is that possible," he said. "And to judge whether we need to change the law (on a national level)." In 1995, Broschart's license is suspended for two years for failing to take a breathalyzer test. Four years later, his license was suspended for one year for DWI. In 2001, the state suspended Broschart's license for the third time for failure to comply with a mandatory alcohol program. Then in 2007, he again refuses to take a breathalyzer. That time, the state had enough and suspended his license for 10 years. Need a story investigated? Click here!